I feel so blessed being able to help couples in need, and this time was no different. I hope you are doing great! I sincerely hope the couple had a successful implantation that resulted in pregnancy. My thoughts and good wishes have been with them daily. I don’t know if you’re at liberty to reveal whether they (or their surrogate, I believe) were successfully able to become pregnant, but if you are at liberty to say I’d love to know. At any rate, I’m going to hope and believe everything was a success! I feel so blessed being able to help couples in need, and this time was no different. I’d temporarily forgotten how rewarding it feels to help make a real difference in the lives of others! If you ever have another wonderful and deserving couple that you can’t find another suitable donor for, I’d absolutely love the opportunity to donate again. I really enjoy doing this when it’s for a great couple in need. I became a firefighter because I love helping people who find themselves in a position where they can’t help themselves because of situations out of their control. I would certainly want someone to do the same for me or the people I care about. Donating is an even better way to help someone because it helps fulfill a life-long dream….and being a small part of that is priceless! Please keep me in mind if the possibility to donate again ever presents itself! Thank you again for all of your hard work and dedication. You were by far the best Case Manager I’ve ever worked with! You really do a great job, and I know it’s not easy! You rock! I just wanted you to know that I truly appreciated all of your help with everything, especially the unexpected issues that got thrown your way! You managed to take it all with a grain of salt and get things taken care of right away. I appreciated that so much! Take care, and keep helping those who need you! You’re an absolute gem! Where do I even start with all of the praises I have for this wonderful agency? When I decided to join them in their quest to help create families, never did I imagine that I would hold such a big place for them in my heart. The people of EDI, Inc. that I have worked with are compassionate, understanding, readily available to help at any time, and overflowing with the joy that they have for their profession. They serve as the middle man not only between the donor and recipient, but also between the donor and hospital/nurses/doctors. Needless to say, the middle man is one of the most important parts of this process. Choosing the right agency will make or break the cycle! Every aspect of this company exudes professionalism. One of the main qualities that I look for in anyone is timeliness. I am extremely prompt, and I expect the same in return. EDI has always been very punctual with every aspect of the egg donation process, which I view as a very professional quality. EDI has some of the most amazing staff members. I spoke with several agencies before I decided who I wanted to work with and an agency or two even contacted me after doing my first cycle. That said, I would never, ever work with anyone else. I have had a 100% positive experience and would not trade it for anything in the world. Thank you, EDI, for making the whole process such a blessing in my life! A big, big thank you for the excellent job you’ve done as my coordinator for this cycle! You’re the perfect person for your job, and I really appreciate you! Thanks for making this whole process so smooth. You are fantastic at what you do, and I appreciate the caring way that you have facilitated my egg donor cycle. It was truly a joy to work with you, and I look forward to being a donor for another couple! I’ve been praying a lot lately that everything works out seamlessly for the couple. Their care for me is only an indicator of the love and care they’ll have for a child of their own…I can’t wait to hear that they’re pregnant! Again, many thanks for the support you’ve provided me. It is deeply appreciated. 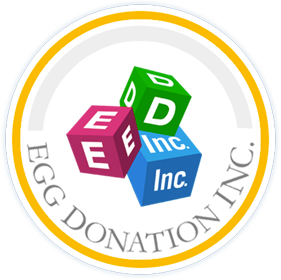 I have had the opportunity to cycle with Egg Donation, Inc. a few times, and it has been nothing but a pleasure to work with them. All of the staff is so friendly and helpful; the Case Manager guides you every step of the way, which is so comforting. I would definitely recommend Egg Donation, Inc. to anyone wishing to be involved in the egg donor program. I look forward to my next egg donation cycle to help a couple turn a dream of having a child into a reality. I am a 25 year old mother of two. I have donated to one couple and am about to embark on my second cycle. I never could have imagined how fulfilling this experience has turned out to be. My recipient is currently pregnant with twins, and I now get to have the wonderful image of her and her husband decorating a room for their soon to be family. I actually enjoyed the medical aspect of the process. I learned so much and felt really accomplished when I mastered my injections. The retrieval was easy and very quick. 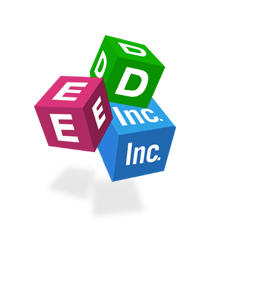 I have had a wonderful experience with ED, Inc. The women I’ve worked with have been so helpful and knowledgeable. They have answered all of my MANY questions. I look forward to continued success with ED, Inc., and even more than that, I look forward to the continued success of my recipient couples.